Safely transport that special bottle or two. Our customizable single or double cartons are the perfect solution for promotional evens or client gifts. The durable cartons can be easily printed with your logo on all sides and come in a range of styles to best suit your brand. Medium sized wine bottles or large 500ml+ craft beer bottles are recommended. 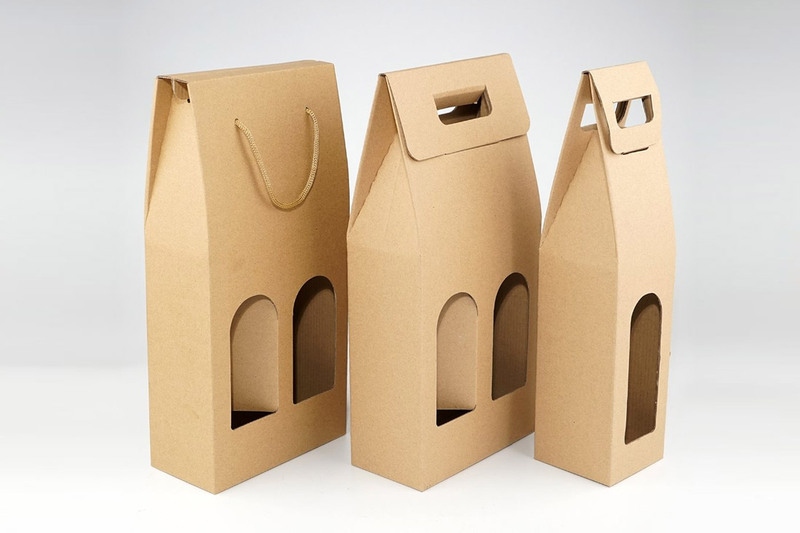 A great companion for any promotion, our durable bottle cartons come in a variety of colours and printing options to best suit any branding request. To make a complet gift package, we also supply branded glassware, please see our assortment of styles under category:’Glassware’.